The Effective Social Strategy Report 2018 includes a review of how social strategy drives effectiveness, with insights into the use of creativity, video and influencers, and practical suggestions on what strategy is most likely to work. Also included are summaries of all the winning case studies from the 2018 WARC Awards, Effective Social Strategy category. 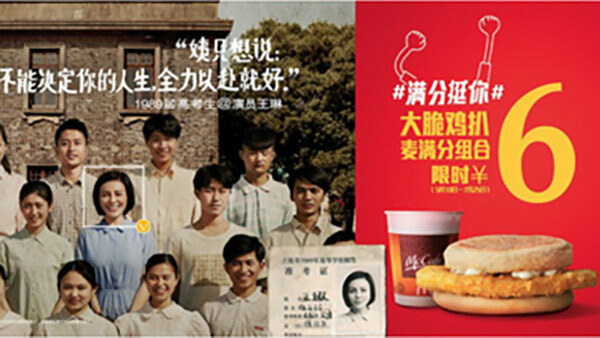 McDonald's won the Grand Prix in the 2018 WARC Awards for Full-heart support for Gaokao, a campaign that supported students during the run-up to the Chinese national college exam, Gaokao, by encouraging older people to share their experience of Gaokao and its impact on their lives.